Tocqueville Society is an esteemed group of business and philanthropic leaders dedicated to tackling our community’s most pressing challenges. Tocqueville Society members are part of a national program recognized as America’s leading philanthropists investing $10,000 or more annually in Mile High United Way. Our members understand how generosity today impacts the generations of tomorrow. "Family time is valuable... We love getting out in the community and meeting families that are recipients of the great work MHUW is doing every day." "I give to Mile High United Way because it is the best way to leverage my investment and create the most significant impact in our community." "When we give to Mile High United Way we know that our money is making a difference in our community." Exclusive invitations to Tocqueville Breakfasts featuring renowned speakers, Social Hours, networking events, program tours, volunteer engagement opportunities, and strategic fundraising initiatives. Connection with like-minded business and community leaders who have a passion for driving social impact. Recognition in Mile High United Way’s annual report, listed on the Tocqueville Society website, and displayed in Mile High United Way's Morgridge Center for Community Change. 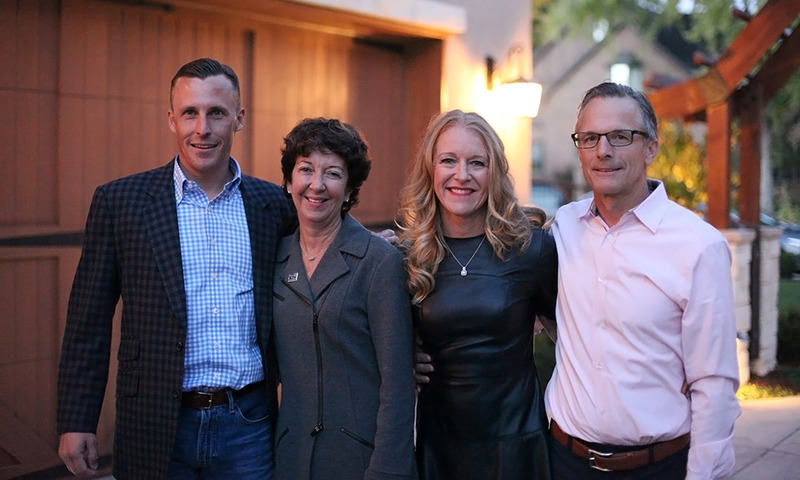 Members of the Tocqueville Society receive exclusive invitations, philanthropic advising services, connection with like-minded business and community leaders, mentoring opportunities and recognition in Mile High United Way's annual report. Members of this inner circle of the Tocqueville Society receive all the benefits of Society membership, plus the opportunity to meet one-on-one with members of the Mile High United Way Senior Leadership team to discuss your philanthropic goals. Members of this distinguished circle of the Tocqueville Society receive an exclusive invitation to an annual Champions Circle event, are recognized in the Mile High United Way Morgridge Center for Community Change and receive all benefits extended to the Summit Circle. Members of this exclusive circle of the Tocqueville Society are committed to the highest level of personal generosity to make transformational change in Metro Denver. Million Dollar Roundtable members are invited to a national summit event and receive all benefits extended to the Champions Circle. Membership is open to donors investing $10,000 or more annually, with at least $5,000 invested directly in a Mile High United Way program through your workplace campaign or through our Donate page. Gifts can be made by check, personal giving account, planned giving, stock transfer, or qualified IRA charitable distribution. 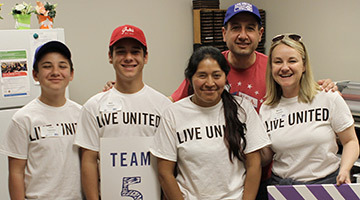 To join or learn more, contact tocqueville@unitedwaydenver.org. The Tocqueville Society's Ready, Set, College event is our annual day of service supporting first-generation college students. Help these young adults on the path to success by ensuring they have the tools they need to achieve their dreams. Each year, our Tocqueville Society members support 50 first-generation college students with encouragement, inspiration and school supplies. Steve & Wendy Topalian serve as our Tocqueville Society Co-Chairs with incredible leadership, humor and a passion for impacting our community together.